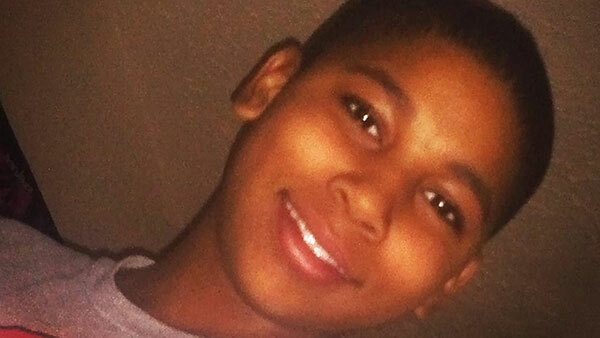 CLEVELAND -- A grand jury declined to indict a white rookie police officer in the killing of 12-year-old Tamir Rice, a black youngster who was shot to death while playing with what turned out to be a pellet gun, a prosecutor said Monday. Cuyahoga County prosecutor Tim McGinty said it was "indisputable" that the boy was drawing the pistol from his waistband when he was gunned down - either to hand it over to police or to show them that it wasn't real. But McGinty said there was no way for the officers on the scene to know that. "Simply put, given this perfect storm of human error, mistakes and miscommunications by all involved that day, the evidence did not indicate criminal conduct by police," McGinty said. He said patrolman Timothy Loehmann was justified in opening fire: "He had reason to fear for his life." "My family and I are in pain and devastated by the non-indictment of officers Timothy Loehmann and Frank Garmback for the murder of our beloved Tamir. After this investigation-which took over a year to unfold-and Prosecutor McGinty's mishandling of this case, we no longer trust the local criminal-justice system, which we view as corrupt." Tamir was shot by Loehmann within two seconds of the officer's police cruiser skidding to a stop near the boy outside a city recreation center in November 2014. Loehmann and his training partner, Frank Garmback, were responding to a 911 call about a man waving a gun. A grainy video of the shooting captured by a surveillance camera provoked outrage nationally, and together with other killings of black people by police in places such as Ferguson, Missouri, and New York City, it helped fuel the Black Lives Matter movement. McGinty urged those who disagree with the grand jury decision to react peacefully, and said: "It is time for the community and all of us to start to heal." Similarly, state Sen. Sandra Williams, a Cleveland Democrat, pleaded with the community to remain focused on positive change and "avoid falling into the traps that have hampered progress and the broader movement of social equality." "My prayers go out to the Rice family as they grapple with this news and as they try to find peace and healing despite this grave miscarriage of justice," she said in a statement. In explaining the decision not to bring charges, the prosecutor said police radio personnel contributed to the tragedy by failing to pass along the "all-important fact" that the 911 caller said the gunman was probably a juvenile and the gun probably wasn't real. Assistant Prosecutor Matthew Meyer said it was "extremely difficult" to tell the difference between the fake gun and a real one, since the orange tip had been removed. And he said Tamir was big for his age - 5-foot-7 and 175 pounds, with a men's XL jacket and size-36 pants - and could have easily passed for someone much older. "There have been lessons learned already. It should never happen again, and the city has taken steps so it doesn't," McGinty said. Also, the Cleveland police department reached a settlement with the U.S. Justice Department earlier this year to overhaul the way it uses force and deals with the public. It was prompted in large part by the killing of a couple in a 137-shot barrage of police gunfire after a high-speed chase. McGinty said it was a "tough conversation" with Tamir's mother when she was told there would be no charges. "She was broken up, and it was very hard," the prosecutor said. Tamir's family has filed a federal civil rights lawsuit against the two officers and the city of Cleveland. An investigation found that Tamir was shot at distance of between 4 and 7 feet and that Loehmann fired twice, with one of the shots missing the boy. Both officers insisted that they shouted at Tamir multiple times to raise his hands before Loehmann opened fire. "With his hands pulling the gun out and his elbow coming up, I knew it was a gun and it was coming out. I saw the weapon in his hands coming out of his waistband and the threat to my partner and myself was real and active," Loehmann said in a statement dated Nov. 30. After the boy's killing, it was learned that Loehmann had washed out from the police force in the Cleveland suburb of Independence. Loehmann had "dismal" handgun performance, broke down in tears at the gun range and was emotionally immature, according to files. He quit the force before he could be fired. Two Cleveland police officers have been disciplined for failing to check Loehmann's personnel file from Independence before he was hired in Cleveland last year.